Colorado Australian Cattle Dog Rescue View other Australian Cattle Dogs for adoption. 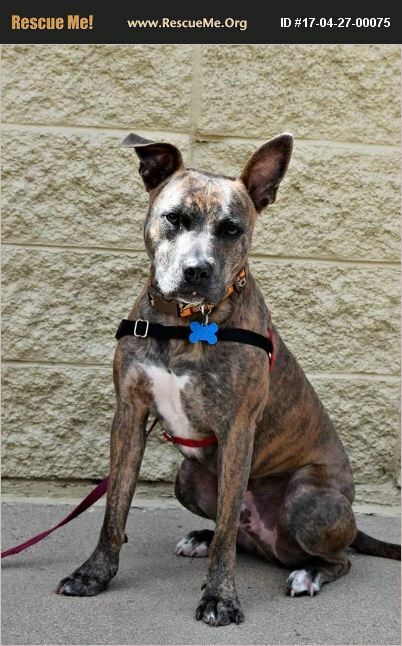 Boo Cattle Dog/Boxer Mix Male 2 years old 51 lbs. Hey there! I'm Boo and I'd like to be your new best friend! See, I'm one of those honest types. Like, super honest-almost like I don't have a filter! For instance, I can't play it cool-you're probably noticing from my wagging tail that I'm eager to hang out! In fact, a snuggle on the couch would be just delightful! I love playing outside with other dogs and then coming inside for a peaceful snooze. I'm pretty laid back and just want to chillax indoors. I'm house trained and know all of the classics like come, sit and stay. I'm totally trustworthy when it comes to leaving me home alone-no worries there! I also love toys and I love going for fun hikes in the mountains! I have such a fun energy when I'm exploring new things! I am working on my comfort with meeting new people right now as new people are a bit intimidating to me at the moment. I am content with the people I know and love but can feel defensive in general when I'm unsure of a new relationship. Therefore, I'd do best in a quieter home where I can just be happy with my humans and not need to meet tons of new people all the time. And I also need to be in a home without children since I have shown to be nervous around young humans as well. But you know what I'm not scared of? Lots of love and affection from an amazing family! I would make an incredibly loving companion for someone who understands my foibles and can help me feel safe. And I promise you that I will love you and treasure you every day forward if you are my forever person. I had a chance to meet the kind folks at Denver Animal Care and Control for a breed evaluation and they've officially determined that I'm a Cattle Dog mix! That makes me so happy because that means I can live in the city of Denver. The kind folks at PawsCo can provide a written confirmation of my breed evaluation as needed. Will you please give me a new 'leash' on life? All you have to do is email adopt@pawscoadoptions.org or fill out an adoption application at https://pawsco.org/adopt/adoption-application/. Thank you so much!